Last year around this time, we had the pleasure of having Yvonne Soh as our intern at the studio. If you had seen her illustrations you will know that I am not exaggerating when I tell you she is DAMN good! See my blog masthead above? That's her work too. So the first day she started her slavery internship, we put her illustration skills to good use hee hee :p We were preparing for a baby fair and wanted some tee-shirts printed and she helped us with the character illustrations and tee design all within a day! 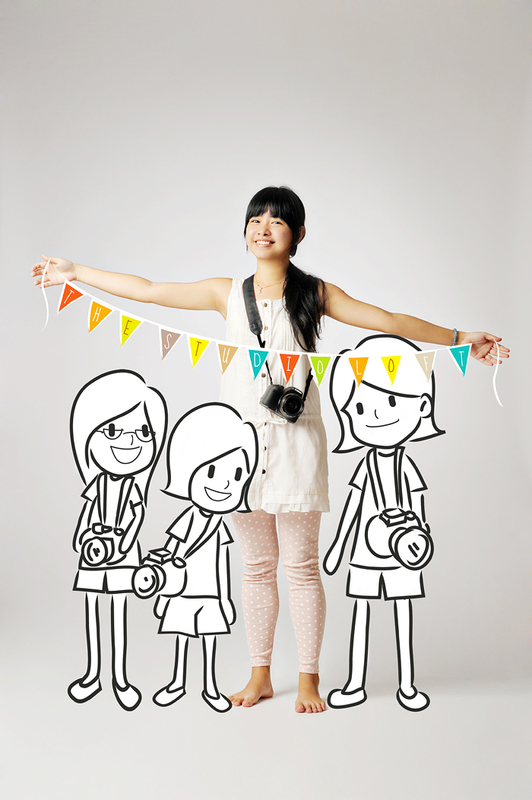 Here's a shot I took of Yvonne and she has included Wen Lin, Joanne and me with her in the shot using the illustrations she did for our tee-shirt :) Cute right?